Startup Capitals is a thought-leadership conference that celebrates the innovation/startup ecosystem of cities that are making a mark on the world map. It brings together all the stakeholders in a startup ecosystem, including entrepreneurs, business leaders, innovators, researchers and educational specialists, government leaders and venture capitalists, under one roof who champion innovation and who are passionate about taking their innovation ecosystem to the next level. This uniquely curated programme offers you a chance to hear and interact with the thought-leaders and entrepreneurs who are leading the change in the world and who are committed to making the world a better place. On the sidelines of the conference, we will also showcase the chosen city’s most innovative ideas and startups—an opportunity to attract commercial and media attention. 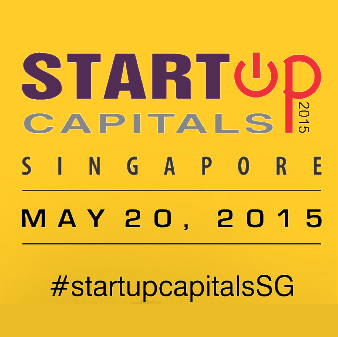 The first edition of Startup Capitals 2015 is being held in Singapore at The Pod, NLB, Victoria Street on May 20. We expect to draw some 150 – 200 participants coming from Singapore and other countries such as China, India, Indonesia, Malaysia, Thailand and United States. The agenda is divided up into themes spread over the day. A host of carefully chosen experts will deliver content in neatly packaged presentations and panel discussions. A keynote speaker will address the participants followed by other sessions and discussions.